Sarc-Ex Liquid is an advanced and unique formula which provides nutritional support for the immune system of horses. The strong antioxidant herbs help the body cope while maintaining normal structure and function. This palatable supplement helps the body defend itself and aids normal repair. Feed 1 x 25ml twice daily for an average 500kg horse. Keep at this feeding rate. Sarc-Ex Liquid can be fed throughout the year. "I thought I would just drop you a quick update about my horse, Perseus. You may recall that you recommended Sarc-Ex, RigCalm and Prebioherb for him. I have been giving him all three, but he has been having the Sarc-Ex for longer than the other two. I am so impressed with the Global Herb products and cannot praise them enough. Sarc-Ex is amazing!! His skin is doing great. As far as temperament is concerned, he is still himself but without the difficult times we were previously getting! He's a much nicer person and isn't as prone to nipping either on this feeding regime. His skin and coat are looking lovely. He's looking better now that he has done for the 3 years I have had him. I cannot thank you enough for your help”. “I just wanted to share my story with one of your products. I spoke to a representative at Global Herbs last year regarding Sarc-Ex. My mare has always had a patch of dry skin at the top of her leg- it has never had hair on it. Then in winter time her rugs would rub it and we'd be in a vicious circle each year. With no creams ever staying in place due to where it was, I was getting worried. In summer 2013, I decided to use Sarc-Ex and I'm so pleased! Everyone always says they can't believe it! Thank you very much. My mare is currently on four scoops daily and I wish to carry on with this supplement”. "I just wanted to write to you and thank you for your fantastic products, namely, Sarc-Ex. I bought my driving pony 18 months ago. I am disabled, so unable to ride which is why I have taken up driving. She was two and a half years old. My vet told me it was going to cost a lot of money to help her. I found Sarc-Ex on a Google search and decided to try it. I am well aware of the good that herbs can do in my dealings with other animals. However... I didn't expect too much from it. Within 4 months things were looking good and she was comfortable between her legs, throat and mouth. After about 8 months on Sarc-Ex, she was looking great. I am absolutely delighted and very relieved and there have been no nasty side effects. I will always be on the look-out for any new ones, but I am now reassured. Thank you again for this great product!" "My husband purchased Floyd as a yearling. The following year we noticed something on his lip - We hoped it was nothing but called a vet out, but she could not really help - so we decided to try and improve Floyd's nutrition. When we contacted Global Herbs initially you advised to use liquid Restore, GlobalVite and Sarc-Ex. Initially we did not see much change but were advised to increase the rate of feeding. From then on we were much more happy. A lot of my friends and associates have followed the story and they were all suitably impressed and have recommended Sarc-Ex to other people, friends and associates." "I am amazed at your Sarc-Ex, my horse's skin is great now. 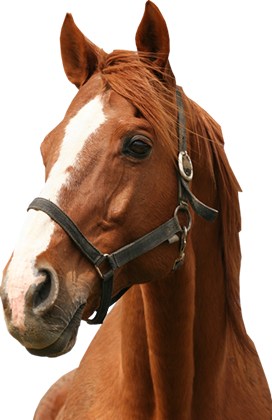 I have recommended your products to other horse owners, thank you very much for all your help." "Sarc-Ex is amazing! I want to recommend you to everyone!" "Thrilled to bits. Frankie has been on 3 tubs of Sarc-Ex. Can't believe it, vet is amazed and I have saved a lot of money. " "Sarc-Ex - the results were amazing, his skin is looking great." "I had 101% results with this product."